Can I-35 win you back? No one in Austin — and I mean no one — loves I-35. That was made abundantly clear by the viral response to this recent break-up note on Facebook. Even so, I thought I-35 deserved an opportunity to try to win you back, to let you know a potentially brighter future lies ahead. I fully expect to be endlessly trolled as a result. Look, it’s not you. It’s me. I admit it. I know I’m unreliable and infuriating and have ruined your day over and over and over again. Your anger is justified. Plus, I’m not exactly attractive. I see how people look at me. I hear the things they say. I’m also no spring chicken. I’m showing my age. That’s what happens when you ignore basic upkeep for decades. And I’m guilty of dividing people. So I’d understand if you want to see someone else. I hear SH 130 is quite charming. Or maybe you want to save yourself for someone better, like commuter rail. I get it. We all have our fantasies. But if you give me a chance, I can change. I really can. I’m getting a head-to-toe makeover that will make me sleek and smart. One day, if we choose wisely, I might even look good. My efforts to become more of what you’d like me to be are going to be hard and frustrating. It will take time for me to get into shape. We can get through this together. I know you may never really love me, but I want us to be together without the anger and unhappiness. I’m committed to making this work. And with your help, we might just be able to move forward. 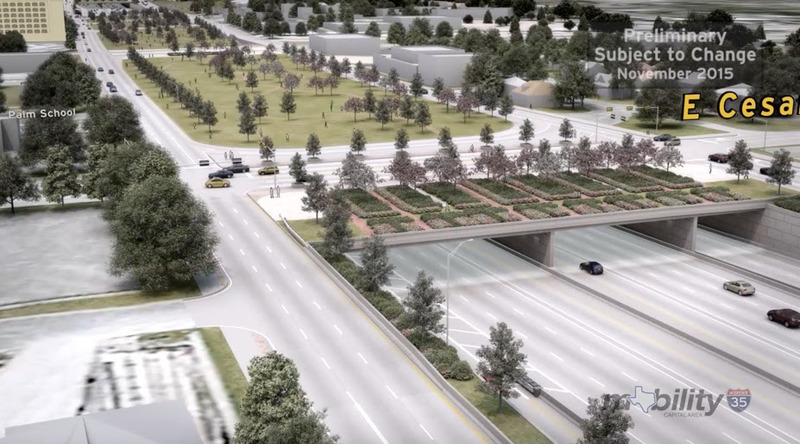 We really do have an opportunity to change the landscape of Austin by lowering the I-35 lanes through downtown. Doing nothing on I-35 is not an option. Today, I-35 is bumper-to-bumper for six hours a day from US 183 to SH 71. If we do nothing, by 2040, when the population is expected to have doubled, we’ll have traffic congestion on I-35 for 9 hours a day, much of that time at a virtual standstill. There’s been a lot of work over the past few years to address that problem in a smart way. Part of that work has looked at how the road will actually look and operate in the downtown area. The Texas Department of Transportation has two proposed plans on the table. One plan has raised lanes or pretty much the same old ugly deal that’s already there. The other proposal has lowered lanes. Both are designed to reduce congestion (well, eventually, once the totally disruptive construction is done). Only the lowered option allows us to imagine a downtown without an ugly and divisive concrete behemoth. 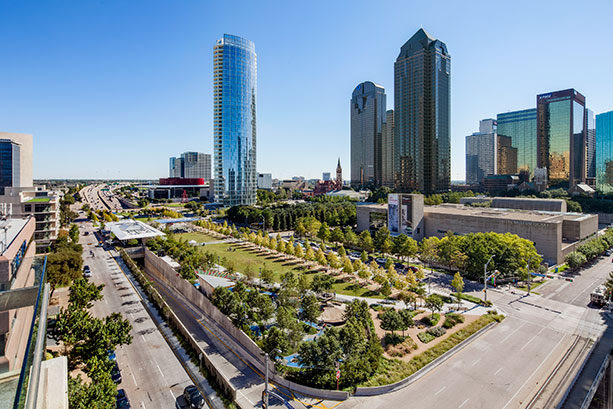 Only the lowered option creates the possibility of building a park over the lanes, as Dallas has done with Klyde Warren Park. Today, Mueller is home to Dell Children’s Medical Center, the Austin ISD Performing Arts Center, Thinkery and an emerging mixed-income community. Not so long ago, it was the Austin airport. The airport was noisy and disruptive and didn’t belong in the heart of a growing, thriving city. The same argument holds true for I-35. It’s severed the heart of our community for far too long and lowering the lanes gives us the chance to piece our city back together. We need to tell TxDOT that our community wants the lowered option. You can do that by clicking here. 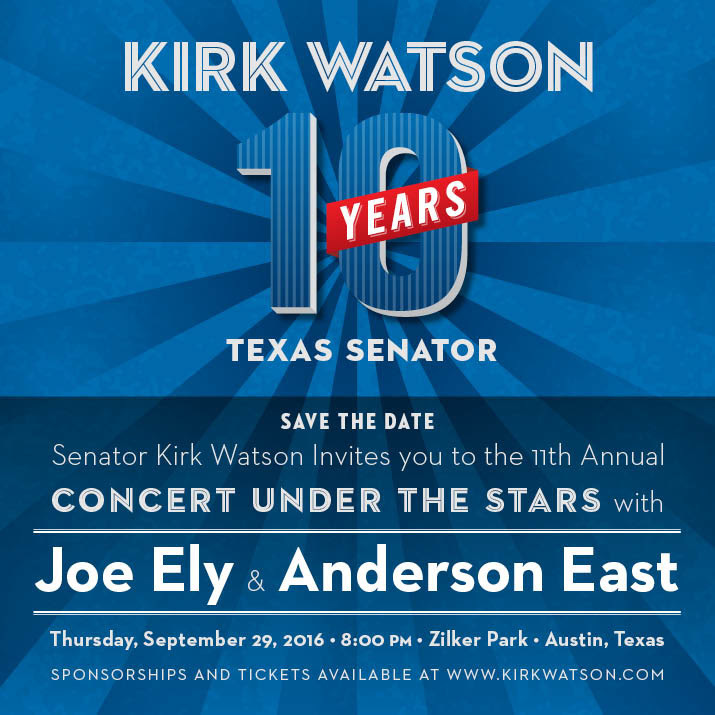 There are only a few more weeks until my annual concert at Zilker Park. I hope you’ll join me on September 29th. Get tickets by clicking here.